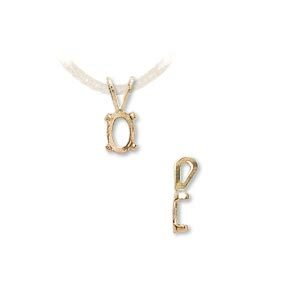 Pendant, Cab-Tite, 14Kt gold, 6mm with 4-prong round setting. Sold individually. 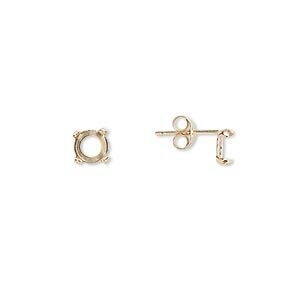 Earstud, Cab-Tite, 14Kt gold, 7x5mm 4-prong oval setting. Sold per pair. 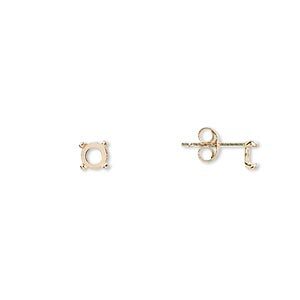 Earstud, Cab-Tite, 14Kt gold, 6x4mm 4-prong oval setting. Sold per pair. 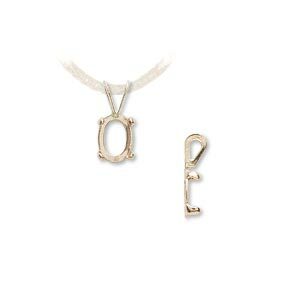 Pendant, Cab-Tite, 14Kt gold, 7x5mm with 4-prong oval setting. Sold individually. 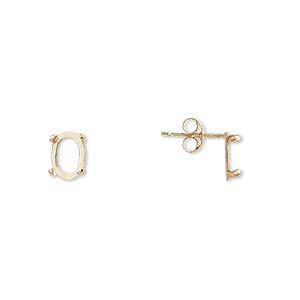 Earstud, Cab-Tite, 14Kt gold, 5x3mm 4-prong oval setting. Sold per pair. 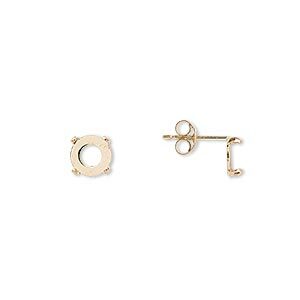 Earstud, Cab-Tite, 14Kt gold, 5mm 4-prong round setting Sold per pair. 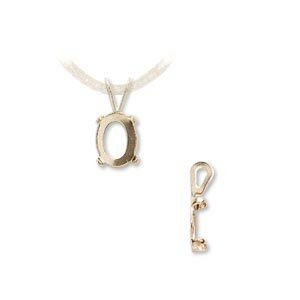 Pendant, Cab-Tite, 14Kt gold, 14x10mm with 4-prong oval setting. Sold individually. 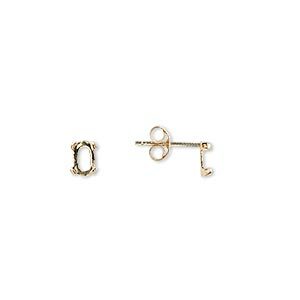 Pendant, Cab-Tite, 14Kt gold, 4mm 4-prong round setting Sold individually. 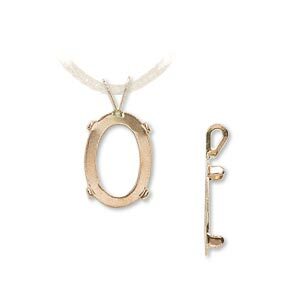 Pendant, Cab-Tite, 14Kt gold, 8x6mm with 4-prong oval setting. Sold individually. Pendant, Cab-Tite, 14Kt gold, 5mm with 4-prong round setting. Sold individually. 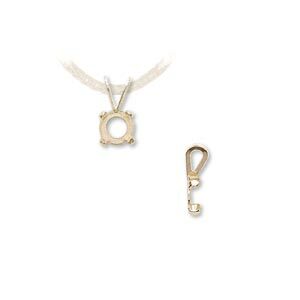 Pendant, Cab-Tite, 14Kt gold, 6x4mm with 4-prong oval setting. Sold individually. 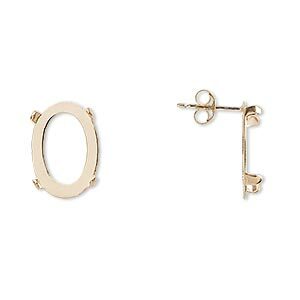 Earstud, Cab-Tite, 14Kt gold, 14x10mm 4-prong oval setting. Sold per pair. 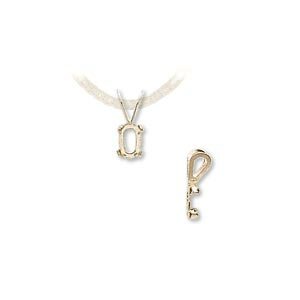 Pendant, Cab-Tite, 14Kt gold, 5x3mm 4-prong oval setting. Sold individually.